The government is considering a proposal to detach development of the Hinkley Point nuclear power plant from an agreement allowing China to build a reactor in Essex. The proposal is one of the options under consideration after Theresa May delayed approving the £18bn Hinkley Point project last month, according to a report in the Times (£). The prime minister is concerned about China’s involvement with the project to build Britain’s first nuclear power plant for a generation in Somerset and a further agreement for China to build reactors in Bradwell, Essex, and Sizewell, Suffolk. The government enlisted China last September to fund a third of Hinkley Point in a deal meant to ease financial pressure on EDF, the French builder of the plant, and forge closer links with China. But May, who raised objections to the deal when she was home secretary, called a surprise review soon after becoming prime minister. An option under consideration in Whitehall is to approve Hinkley Point but delay a decision on the Bradwell reactor to allow a discussion about its effect on British security, the Times said. Any attempt to split Hinkley Point from the agreement to let China build reactors in Britain would endanger the whole deal because the Bradwell plant was meant to be a showcase for China’s nuclear technology in Europe. Tension over Hinkley Point means May risks an awkward first G20 meeting of world leaders as prime minister. The meeting, on 4 and 5 September, takes place in the Chinese City of Hangzhou and will be hosted by Xi Jinping, China’s president, who signed the Hinkley Point agreement last year. EDF, the French state-owned energy group, approved the building of Hinkley Point in July after months of doubts about whether it was financially strong enough to take on the giant project. On Sunday, Vincent de Rivaz, EDF’s UK chief executive, called on the UK to set aside concerns about Chinese involvement in the project. “We know and trust our Chinese partners.” he wrote in the Sunday Telegraph. De Rivaz said there were “enormous benefits for the UK” from the involvement of China, which has the largest civil nuclear programme in the world. China has made clear its frustration over May’s decision to delay a decision on Hinkley Point. The Chinese ambassador to the UK, Liu Xiaoming, wrote that relations with Britain were at a “crucial historical juncture”. May then wrote to Xi and China’s premier, Li Keqiang, promising closer business and trade ties between Britain and the world’s second-biggest economy. May’s chief of staff, Nick Timothy, last year raised concerns that Chinese state-owned companies were investing in sensitive infrastructure. The amount of electricity generated from coal in the UK has fallen to zero several times in the past week, grid data shows. In what green energy supporters have described as a “historic turning point” for the UK’s power system, coal-fired electricity first fell to zero late on Monday night and for the early hours of Tuesday morning, according to data from BM Reports. On Thursday, there was no electricity from coal for more than 12 and a half hours, more than half the day, with it making no contribution to the UK’s power supplies late at night when demand was low and for a period in the day, the data shows. It is thought to be the first time the UK has been without electricity from coal since the world’s first centralised public coal-fired generator opened at Holborn Viaduct in London, in 1882, according to the Carbon Brief website which reports on climate science and energy policy. The record lows in coal power generation come as the UK enters the summer months, which sees lower demand for electricity, and with more than half of the country’s coal capacity out of action, for example for planned maintenance. But there have also been a series of recent closures of coal-fired power plants as they become less economic, while plants such as Drax in North Yorkshire have partially switched to burning “biomass”. The government has said it wants to see coal phased out by 2025, as it is the most polluting way of generating electricity. There has also been an increase in the amount of renewables on the system, with a record 27% of the UK’s power coming from sources such as wind power in the last quarter of 2015. Estimates of the power now being generated from solar panels, from household arrays to large scale farms, also show it is regularly outstripping coal during the day, reaching 6.8 gigawatts (GW) at a midday peak this week compared to a high of 3GW output from coal. Solar is limited to generating power during the day, but analysis from Carbon Brief found that over the course of a week, the clean technology produced more power last week than coal. Juliet Davenport, chief executive of renewable electricity supplier Good Energy said: “This week marks an historic turning point for energy in the UK. “Coal formed the backbone of the industrial revolution and was the fuel that powered Britain into the 21st century. But it’s time to begin to say farewell. The Transport for London (TfL) has put into service five all-electric double deck buses thereby making London the first city in the world to have pure electric public transport. Manufactured by Bye Europe, each of the pure electric vehicles measures 10.2 meters in length and features full air conditioning offering seating for 54 passengers with a further 27 standees spaces (total passengers: 81). The buses pack BYD Iron Phosphate batteries that deliver 345 kWh of power and can run for up to 190 miles of typical urban driving according to the internationally recognised SORT test conditions. Recharging takes just four hours and can be completed overnight using low cost off peak electricity and this is more than enough to handle most daily duty cycles, BYD says. The buses were commissioned into service at a short ceremony on March 16 with London’s Deputy Mayor of Environment and Energy, Matthew Pencharz formally receiving the first bus from BYD Europe. London has become the first city to have on its revenue services routers, world’s first zero-emission, long-range, all-electric BYD Double-Decker buses. Pencharz during the event that the running costs of these buses as well as some of the maintenance and operations cost are much lower than currently used buses. 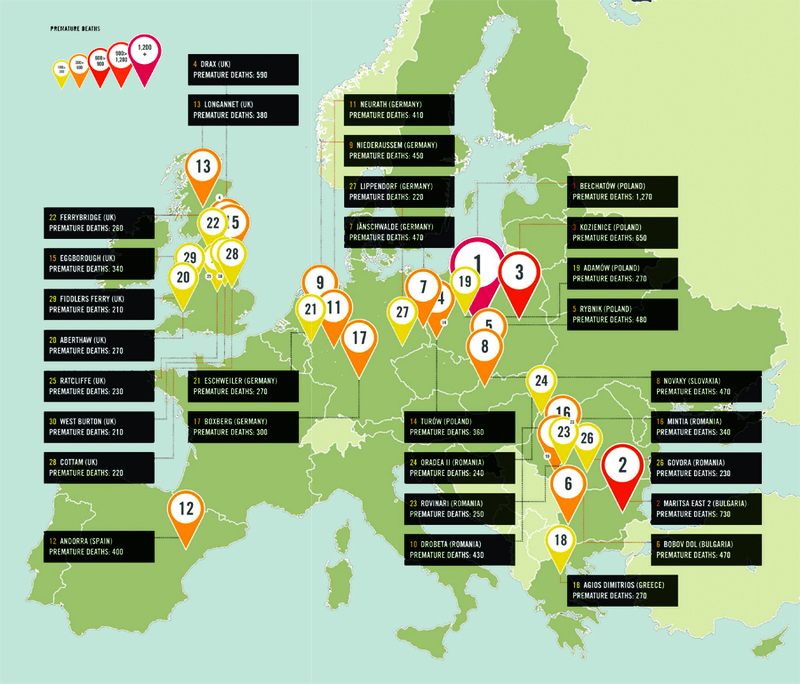 With zero-emission and zero-tailpipe-pollution, there is a huge environmental benefit specifically for London where pollution levels are relatively high compared to some similarly sized and populated cities around the world. Leon Daniels, TfL’s Managing Director for Surface Transport, said: “BYD are a brilliant supplier. They lead the world in electric bus technology and we thank them for their efforts to make this new double decker a reality”. 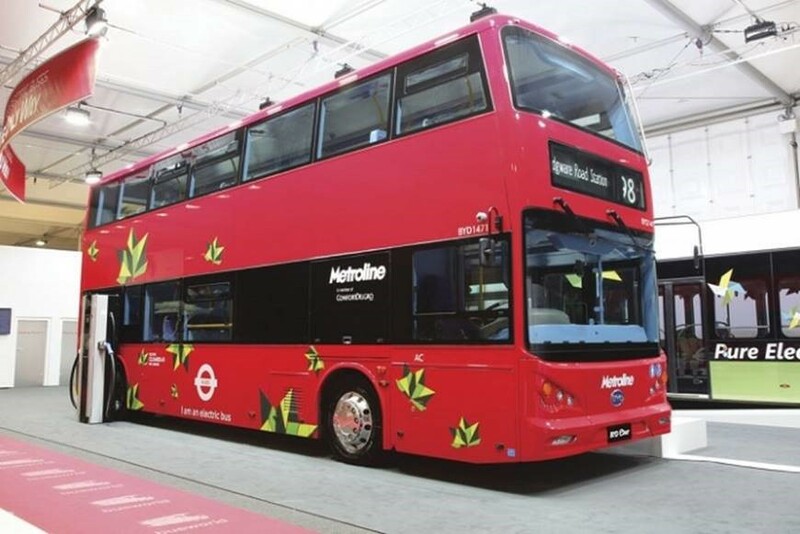 As the plan goes, currently TfL is commissioning five of the all-electric double decker buses on Route 98 operated on behalf of TfL by Metroline. Route 98 was chosen given its status as a pollution hotspot in the city. BDY Europe will be providing support to TfL and Metroline for installation of fast charging equipment at Metroline’s Willesden Bus Garage in north London. Additionally, BYD will provide driver training for the bus operators. BYD, the world’s largest electric vehicle manufacturer, designed and developed the vehicles to Transport of London’s specifications. The five buses scheduled for deployment are more than 33 feet long and feature air conditioning, seats for 54 passengers with space for 27 standing passengers (81 total). The buses are equipped with BYD-designed and built Iron-Phosphate batteries, delivering 345 kWh of power that come with a Industry-benchmark 12 year battery warranty, the longest electric battery warranty available. The batteries can power the bus for over 24 hours and up to 190 miles of typical urban driving on the service routes with a single daily recharging requiring only four hours. TfL plans to charge the buses overnight using low-cost, off-peak electricity to provide additional cost savings.